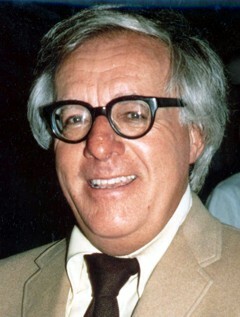 Ray Bradbury (1920–2012) was an American novelist, short story writer, essayist, playwright, screenwriter, and poet. He became a full-time writer in 1943 and contributed numerous short stories to periodicals before publishing a collection of them, Dark Carnival, in 1947. His reputation as a writer of courage and vision was established with the publication of The Martian Chronicles in 1950, which describes Earthlings' first attempts to conquer and colonize Mars and the unintended consequences. Next came The Illustrated Man and Fahrenheit 451, which many consider to be Bradbury's masterpiece. Other works by Bradbury include The October Country, Dandelion Wine, A Medicine for Melancholy, Something Wicked This Way Comes, I Sing the Body Electric! Quicker Than the Eye, and Driving Blind. In all, Bradbury published more than thirty books and close to six hundred short stories. He has been awarded the O. Henry Memorial Award, the Benjamin Franklin Award, the World Fantasy Award for Lifetime Achievement, the Grand Master Award from the Science Fiction Writers of America, and the PEN Center USA West Lifetime Achievement Award, among others.